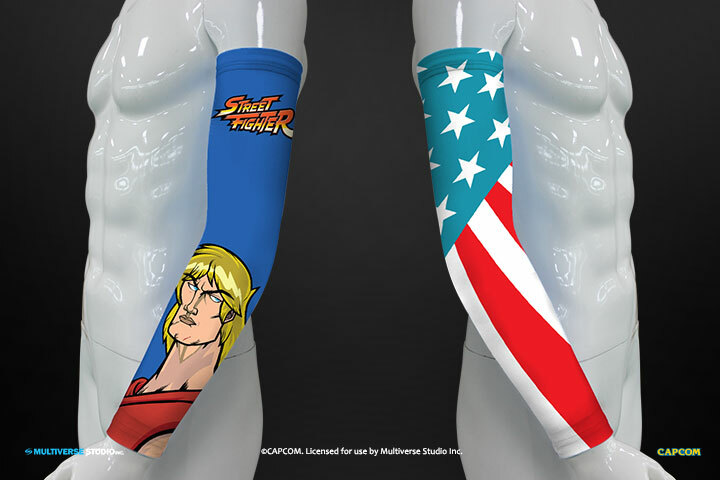 Street Fighter® Arm Sleeves - Multiverse Studio Inc. 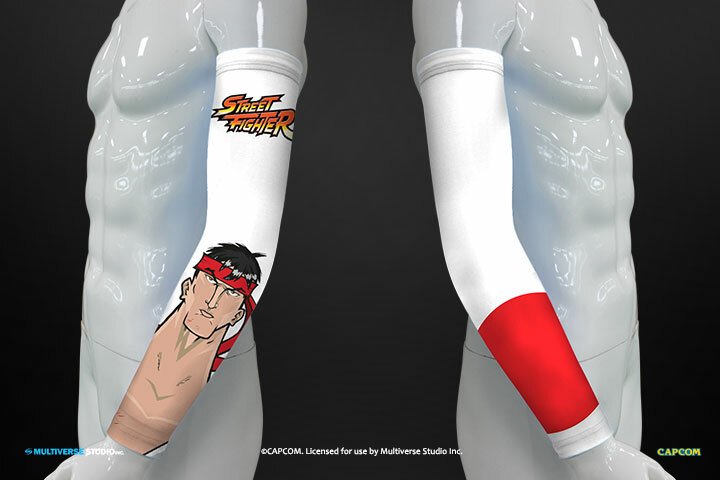 Representing specific characters from the iconic classic fighting videogame series Street Fighter™ from Capcom, these arm sleeves let you show off your loyalty to your preferred characters while granting you the freedom of motion to annihilate your opponents unhindered. Collectible enthusiast, cosplayers, and Street Fighter™ fans alike can display their affiliation for their beloved characters for all to see. They may not make you a world warrior yourself, but appearances count! And with these sleeves, no one will doubt your love and affection for your chosen World Warrior. Street Fighter™ Arm Sleeves come in sets of 2 (one for each arm!) and are made of a polyester spandex blend. Available In Ryu and Ken styles, the Street Fighter™ Arm Sleeves have you covered. 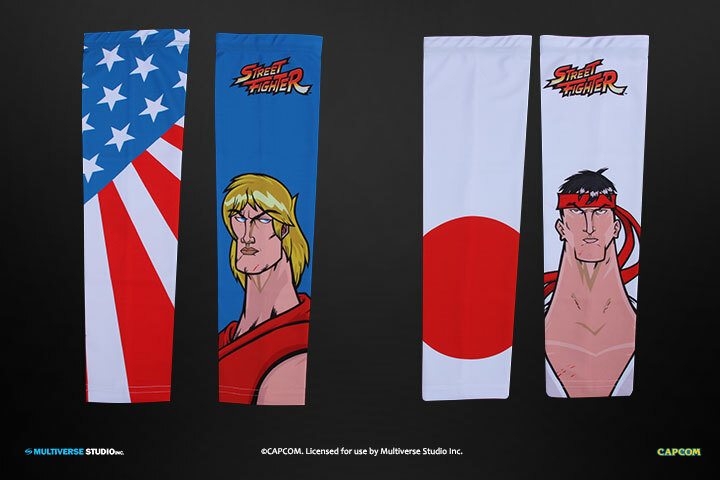 Street Fighter™ Arm Sleeves will retail for $11.99 MSRP and will be available Q4 2015. © 2018 MULTIVERSE STUDIO. ALL RIGHTS RESERVED.